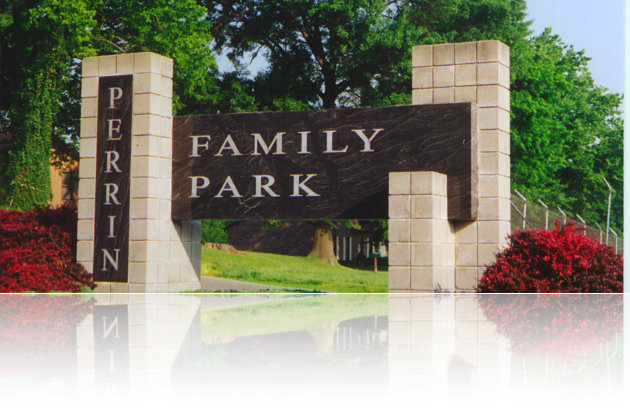 The primary goal of Perrin Family Park is to provide the community with a unique mix of educational and recreational opportunities. The park features a 1.25 mile paved walking trail which passes near the lake and waterfowl feeding station and then meanders its way through trees and open areas. There’s also a picnic area with shaded tables and grills and two shelter houses that may be reserved for group parties and picnics. The full acre of playground equipment and sandboxes appeals to a younger crowd and Catherine’s Teddy Bear Place is home to more than 650 teddy bears that both children and adults will adore.